If Acura wanted to make the TLX truly competitive in the luxury sport sedan market, it needed to make some major changes to it. The company even acknowledged the problem, noting that its rivals are being marketed very aggressively while Acura prefers to focus on its core values. We’re not sure what that means but, regardless, Acura is now presenting a refreshed TLX as a 2018 model. It’s expected in dealerships as of June. But be forewarned: you’ll be seeing the “new TLX” claim all over the place. Let’s start with the immediately obvious. 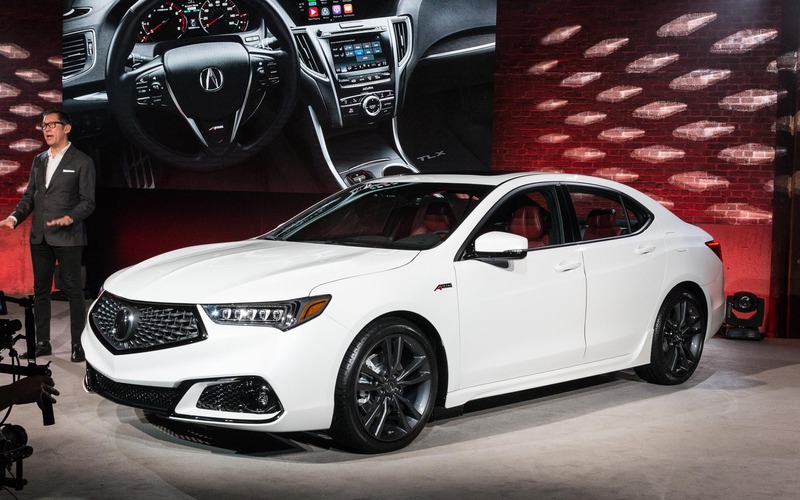 The TLX’s appearance has been updated, with a new grille that was inspired by the NSX and is also found on the Acura MDX. There are few changes to speak of inside the vehicle, except that there’s a new generation of the reviled two-screen infotainment system, which is compatible with Apple CarPlay and Android Auto. All versions now come with the AcuraWatch security system, which includes emergency braking, lane detection, intelligent cruise control and more. But in essence, there’s not that much to report. The basic trim is still powered by a 2.4L engine mated to an eight-speed dual-clutch gearbox that relays all 206 ponies to the front wheels. This is actually the most appealing variant thanks to the pivoting rear wheels, and the fact that you can now add the Elite package, previously available on the V6 version only. The V6 version keeps the trusty 3.5L V6 whose 290 horsepower is (unfortunately) still transmitted by the questionable ZF 9-speed automatic. It comes with Acura’s Super-Handling All-Wheel Drive, which the automaker claims is the best all-wheel drive system in the world. The A-Spec package will be available on the four- and six-cylinder versions. It gives the car a sportier look, wider wheels and Sport calibration for the vehicle’s handling. While the A-Spec package looks promising—particularly on the four-cylinder variant—the changes are actually pretty timid. They up the ante, but only a little. Consider them small sparks of change where a revolutionary lightning bolt was required. But let’s give this contender a chance and wait to test drive it before we cast our final predictions for this generation of the TLX.